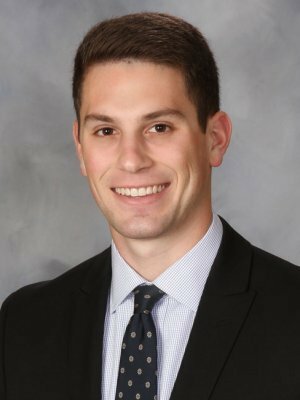 For Sam, the unique team-oriented culture at Renaissance Financial was what drew him to the firm. The close knit and supportive community, where everyone roots as much for their colleague’s success as for their own was too good to pass up. And it is the expertise of that team that allows Sam to provide a customized, well-rounded and fully comprehensive financial strategy to his clients. His professionalism, high level of service and support for each individual instills trust and confidence in his clients. Sam especially enjoys working with doctors, business owners, and young couples. A proud graduate of the University of Missouri, Sam majored in finance and banking along with real estate. While there, he was also committed to volunteering and giving back to the community. As part of the Alpha Epsilon Pi Fraternity, he helped raise $123,000 for the American Cancer Society. Looking to expand his horizons and understanding of the world, Sam spent time studying abroad in the Czech Republic. He brings that same enthusiasm and thirst for learning to his work at Renaissance. He has attained his FINRA Series 7 and 66 registrations, as well as his Life, Accident, and Health Insurance Agent license. Sam is a St. Louis native and as a St. Louis sports fanatic, you will definitely hear him cheering on his favorite St. Louis teams. When he is not delivering quality financial help to his clients, you can find him enjoying a nice relaxing round of golf. Registered Representative and Investment Advisor Representative with Securian Financial Services, Inc. Member FINRA/SIPC.